Job description: Reserve Bank of India (RBI) 2018 Exam official notification has been released by the commission. 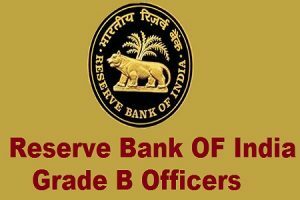 Candidates who were waiting for the notification to arrive since long can apply for 166 posts in various government departments through the official site of Reserve Bank of India (RBI) at Rbi.gov.in. The last date to apply for the examination is 23 July 2018. The official notification for the examination will be out today and aspirants can get it from the official site of Reserve Bank of India (RBI) . The last date to fill up the forms will be till 23 July 2018. Bachelor’s degree as well as in 12th (or Diploma or equivalent) & 10th Standard exam. How to Apply: Eligible Interested candidates must fill in the online application form. The online registration will be open from 03-07-2018. The Last date for online application is 23-07-2018.